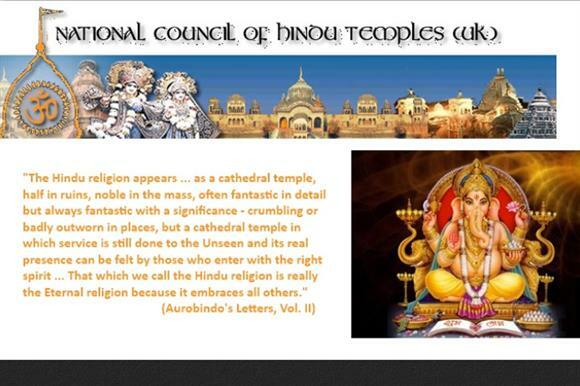 The National Council of Hindu Temples has removed a letter on its website that appeared to urge Hindus and others to vote Conservative in the general election. Third Sector reported yesterday that the Charity Commission said it would contact the charity about the letter, dated 3 May, which said that both the Labour and Liberal Democrat parties had pledged they would introduce legislation that would "effectively introduce a caste system in the UK". The letter said that this legislation would be similar to the amendment to the Equality Act 2000 introduced in 2013 by Lord Harries of Pentregarth, a crossbench peer, which specifically outlaws caste discrimination. There are concerns among Hindus and other communities that this would lead to them being targeted with unfair accusations of caste discrimination. The letter said that British Hindus, Sikhs and Jains voting for Labour "was like turkeys voting for Christmas", and that the Conservative Party was the only one that had listened consistently to the charity and its concerns about caste legislation. The letter said: "This is NOT a recommendation for members of the dharmic communities to vote for a particular party, but it would be unfair not to recognise that the Conservative Party is the only principal party which has rejected the process whereby this legislation was forced through, and the Conservative Party is the only party which has consistently listened to us and voted against this legislation and whose members are committed to repealing the caste amendment if re-elected." The letter had been removed from the charity’s website on Wednesday morning. A spokeswoman for the Charity Commission said the regulator contacted the charity and asked it to remove the letter "as a matter of urgency". She said: "Charity Commission guidance on campaigning and political activity makes clear that a charity must not give its support to any political party or candidate and that all charities must ensure that their independence is maintained and perceptions of independence are not adversely affected. "As charity regulator, we expect charity trustees to take account of this fundamental requirement as a core part of their decision-making processes. We are aware that the post has subsequently been removed and the trustees have responded to us. We are assessing the response to decide what action, if any, is required." Nobody from the charity responded to a request from Third Sector for comment.